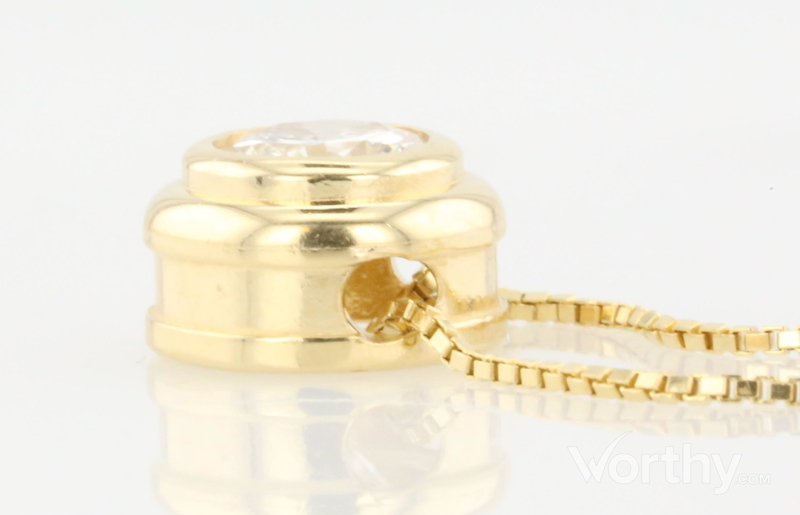 14k gold custom made pendant necklace consisting of round shape, natural diamond, weighing 1.04 carats, having a E color and I1 clarity, according to GIA grading scale. The center stone measuring 6.74mm x 6.72mm x 3.89mm. Inclusion Description: The grade making inclusions are: a small crystal with a transparent halo surrounding it located inside the table in the pavilion, and a negative crystal located in the pavilion near the surface with a radiating transparent halo that breaks the surface. The halo breaks the surface all the way around suggesting it may breakaway from the diamond.